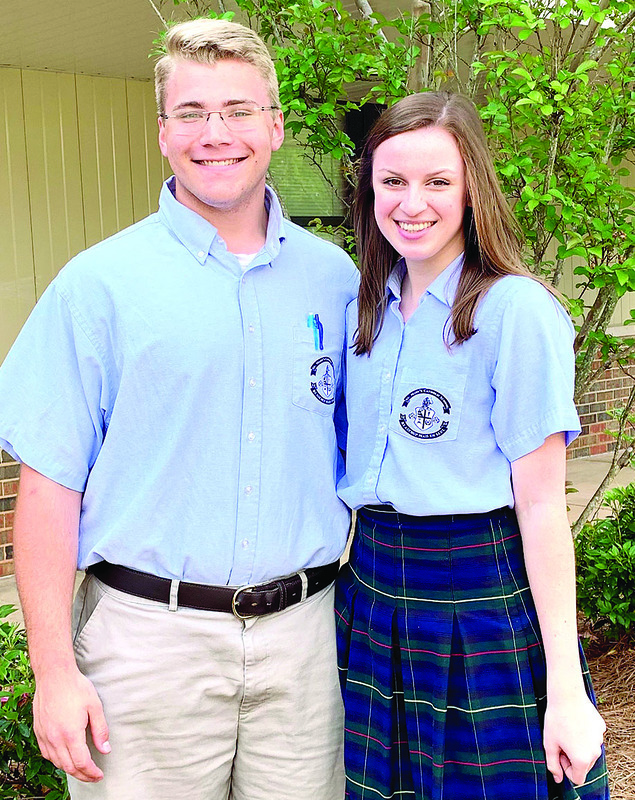 Mr. and Ms. SMH is a time honored tradition at St. Mary’s. The students chosen for this prestigious award are a male and female selected by the high school who represent the best of the St. Mary’s student body. The Student Council, along with Principal Andrea Harrell and Chancellor, Father Blake Deshautelle, announce this year’s Mr. and Ms. SMH are Matthew Thibodaux and Claire Guillett. Mr. and Ms. SMH take pride in the school they represent and do so with honor. They are an outstanding scholar, athlete and leader. They are thoroughly involved and represent St. Mary’s Catholic School by their virtues of integrity, courage, compassion, service and humility, both inside and outside of school. They have earned this honor through what they have given back to their peers and to their school. They have given back over all of high school and have invested much of their time into the institution. The highest honor of Mr. and Ms. SMH is the privilege of crowning the Blessed Virgin Mary during the May Crowning Mass each spring.